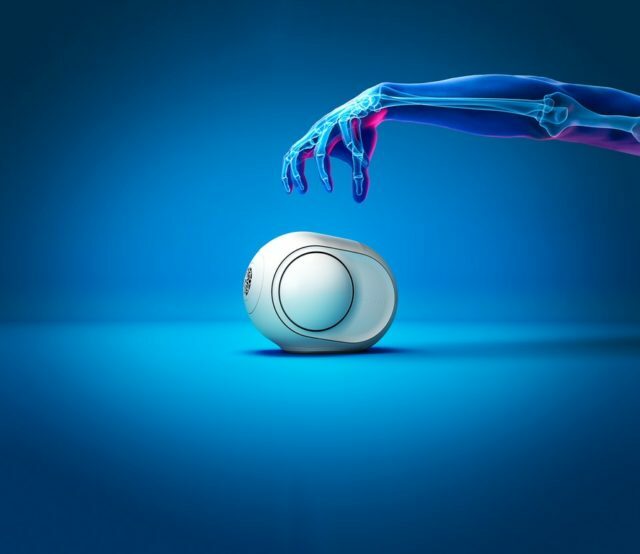 A few years ago, Devialet launched the Phantom speaker. Some of you guys might have seen video reviews of the device due to its unique shape/design that gives it a very alien-like and futuristic look. However it also came with a hefty price tag at over $2,000, putting it well out of the reach of many. However the company has since decided to launch a smaller and slightly more affordable version in the form of the Phantom Reactor 600 and Phantom Reactor 900. The Reactor measures 219mm x 157mm x 168mm which makes it smaller than its predecessor, and will be capable of putting out loud enough audio, where the Reactor 600 will be able to pump out 600W of power and the Reactor 900 will be able to put out 900W of power. This is versus the original Phantom which is capable of pumping out 4,500W of power, so obviously there will be difference in terms of sound and punchiness, but if you don’t have the need for such high-powered speakers then maybe these could be worth looking at. The Phantom Reactors will still feature many of the same features as its predecessor, such a Bluetooth, Spotify, Airplay, and UPnP connections. In terms of pricing, the Phantom Reactors still aren’t exactly what many would call cheap. The Reactor 600 will be priced at $999 while the Reactor 900 will go for $1,299 and are expected to be available for pre-order this week.